There’s no love lost between Android and Apple users, or at least among the fanboys and fangirls. The flamewar between the passionate adopters of the top two mobile operating systems has persisted for awhile now, even in spite of our pleas for a detente. Luckily, one startup is on a mission to bridge the gap between the Open and Walled Gardens, so that we can all join hands and walk off into the sunset. At Google I/O today, BlueStacks staged a mock wedding between Android and Apple as the backdrop for the launch of its Android App Player for Mac — software that aims to bring 400K+ Android apps to iOS. 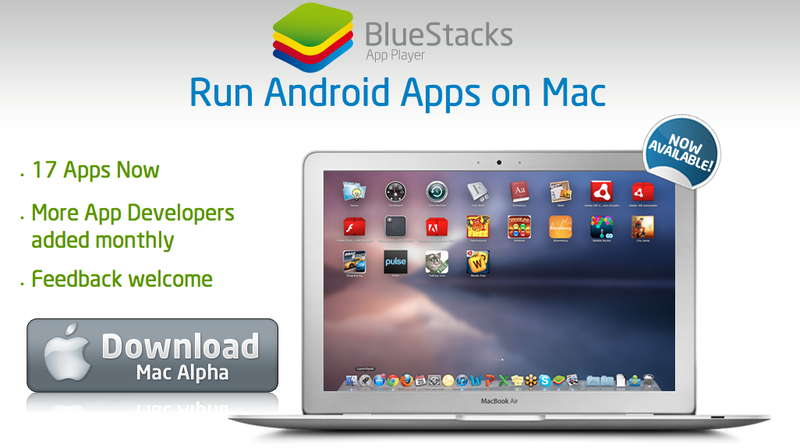 BlueStacks’ alpha release, which is available for free on the startup’s website, gives Android users the ability to run their favorite apps on a Mac, so that they can download Angry Birds, Temple Run, Evernote, etc directly into BlueStacks, or sync apps they already have installed using the startup’s “Cloud Connect” app. The Mac release follows BlueStacks’ release of its platform for Windows, which allowed users to download and play their apps on any Windows machines. The PC version went like hotcakes upon its release in March, reaching one million downloads in just nine days. As we said at the time, the real key to BlueStacks’ success was its “ability to run graphics-intensive Android apps on desktop PCs, using its patent-pending technology called ‘Layercake’ … allowing Android apps to run on x86-based PCs, including apps written for the ARM processor,” like Angry Birds Space or Fruit Ninja, for example. Shainiel Deo, the CEO of Halfbrick (the makers of Fruit Ninja) also said at the time that, while BlueStacks’ tech has plenty of appeal for everyday users, there’s a lot of appeal for developers, too, because they don’t have to port or modify apps to run them on a new operating system — meaning that those who’ve already developed apps for Android don’t have to go through the typical heavy lifting. The same holds true for BlueStacks’ Mac release, and the company pushed its launch today featuring a number of new developer partners, including HandyGames, Creative Mobile, and Pulse. The startup said that its next release, which is coming soon, will expand its partner roster further, and the team has been in full force at I/O wooing developers. For more, find BlueStacks at home here, or check out our prior coverage here.